Here is our final spotlight, last but not least! If you haven’t voted yet, be sure to do so soon as voting closes on 24th May. There are still a handful of tickets left for the awards on 27th May. Find out more on our partner website. The work in this small volume of poetry adds up to so much more than the sum of its parts. We are so thrilled, on behalf of every single one of the thirty six poets who contributed such interesting and genuinely thought-provoking work, to have been short-listed for this award. Invited to respond to the British Library exhibition, ‘150 Years of Alice’, Ekphrasis – founded by writers Emer Gillespie, Abegail Morley and Catherine Smith – commissioned 36 exciting poets from across Britain and beyond, to engage with Alice in any way they chose. The result is Alice/Ekphrasis. We are so proud of this collaborative project, which has produced such extraordinary poetry, poetry that we feel now becomes part of the cultural history of Alice itself. Fourteen poets gave two stunning live performances in the foyer of the British Library in March, proving too how poetry can connect exhibition and audience. Simply a great project that not only commemorated the 150th anniversary of Alice but celebrated this unforgettable landmark story with 32 pieces of poetry. It was stunning and beautiful… an unfolding of different perspectives. A collection from a wide range of good poets. I saw many of them reading their work. It was a magical/fascinating/entertaining/inspirational event. The Being Dad anthology has been a labour of love for all concerned, so we’re thrilled to make this year’s shortlist. For a small project like ours this feels as big as the Booker! Fatherhood is in a state of flux. 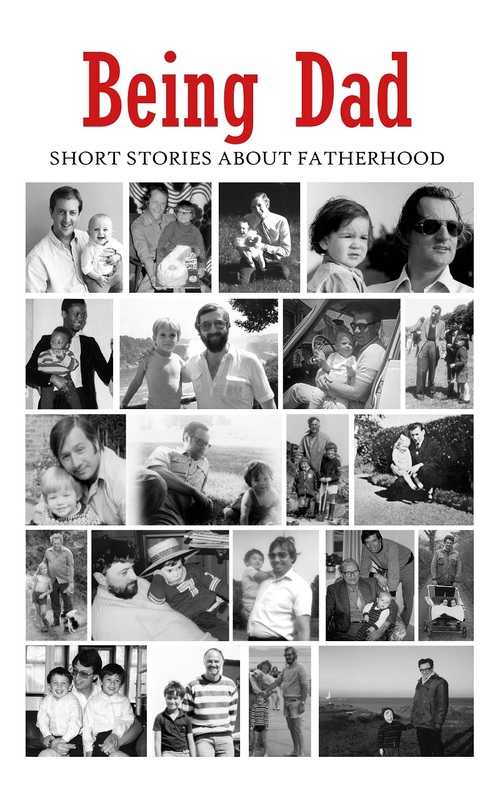 In Being Dad, 15 contemporary writers – all fathers themselves – explore the highs and lows of fatherhood through 15 new short stories. From protective instincts gone awry to the ghosts of our fathers haunting every parenting decision, these stories shine a light on what it means to be a father in the twenty-first century. 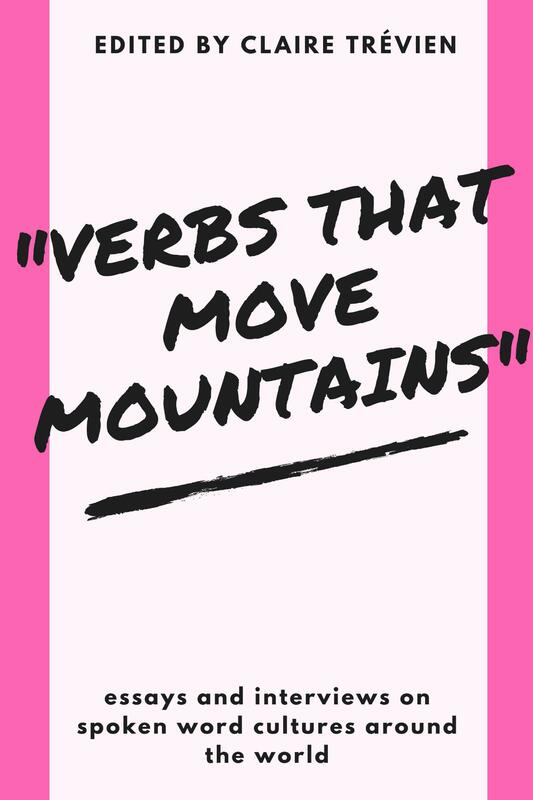 Featuring new stories by: Toby Litt, Nikesh Shukla, Dan Rhodes, Courttia Newland, Nicholas Royle, Dan Powell, Rodge Glass, R.J. Price, Tim Sykes, Lander Hawes, Andrew McDonnell, Iain Robinson, Richard W. Strachan, Richard V. Hirst and Samuel Wright. Insightful, though-provoking yet humorous – a brilliant collection of parental reflection. Because the stories are wide-ranging and brilliant. There really aren’t any duds. I love the subject matter, and Dan Coxon has got some really big names to write stories, including Nikesh Shukla and Nicholas Royle. I loved it. It’s been our biggest year in the five years our free short fiction magazine has been in print. So we’re left pinching ourselves that on top of everything else, we’ve been nominated for two awards. Well done to our writers. The book is really surprising, funny in some ways and touching in others. Because they understand that literature is just a word but writing is truth plus technique. Supports new writers of innovative short stories. The Saboteur Awards are the only awards that recognise the collaborative, cross-genre work that Sidekick Books publishes. 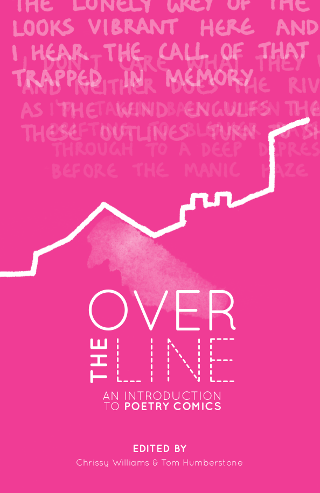 It’s been a pleasure to work with Chrissy Williams and Tom Humberstone, the passionate editors behind Over The Line, and we’re thrilled to be up for Best Anthology. Thank you! Over 70 pages of original work, with a detailed intro & showcase of other artists working in this exciting hybrid medium. This book grew from a shared interest in Poetry Comics by Chrissy Williams and Tom Humberstone. Chrissy began teaching on Poetry Comics in 2012 at the Poetry School, London. The class turned into an informal Poetry Comics workshop group in SE London, a monthly meeting where collaborations were undertaken, then published on issuu.com (as Poetry and Comics). Tom had been editing and publishing anthologies of alternative comics called Solipsistic Pop and was a pivotal attendee of the SE London group. It had been decided that the book should function both as an introduction, publishing existing work, and also as a showcase for new work created specifically with the interaction of poetry text and sequential art in mind. This is a long overdue anthology exploring one of literature’s least understood genres. An important book. For creating a genre it itself. I am thrilled that Paper Swans Press has been shortlisted for its inaugural award — Schooldays is a ‘behind the bike sheds’ anthology of poetry, of which we are extremely proud. Schooldays. The best days of your life? 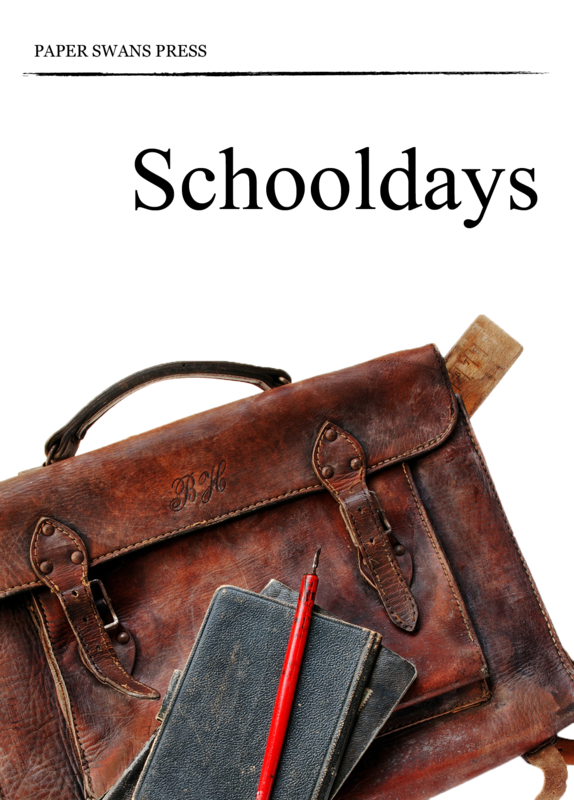 Schooldays, from Paper Swans Press, is an anthology that takes us back through shared memories and experiences, teaching us that school is not just about its physical structure, the buildings that house us. It is about learning — who we are. We come to realise that the lessons learned are not just those of Maths, History or Latin, but those of life: how we are shaped by our teachers, our friends; our enemies. A thoroughly enjoyable anthology combining poetry and flash – schooldays are of course a shared experience as different as Pink Floyd & Madness so the appeal is obvious. Standouts for me were Katy Ewing’s ‘School Souls’ & Roderick Bates’s ‘Scinetific Inquiry…’ – coincidentally one after the other they stayed with me. Paper Swans Press have produced an exceptional anthology on the theme of ‘Schoodays’. Each piece is extremely strong in its own right and together they make a wonderful collection.